Winter certainly arrived in November and seems to be staying put! We have had the most beautiful flurries of snow, winter wonderland frosty mornings and our fair share of icy winds. 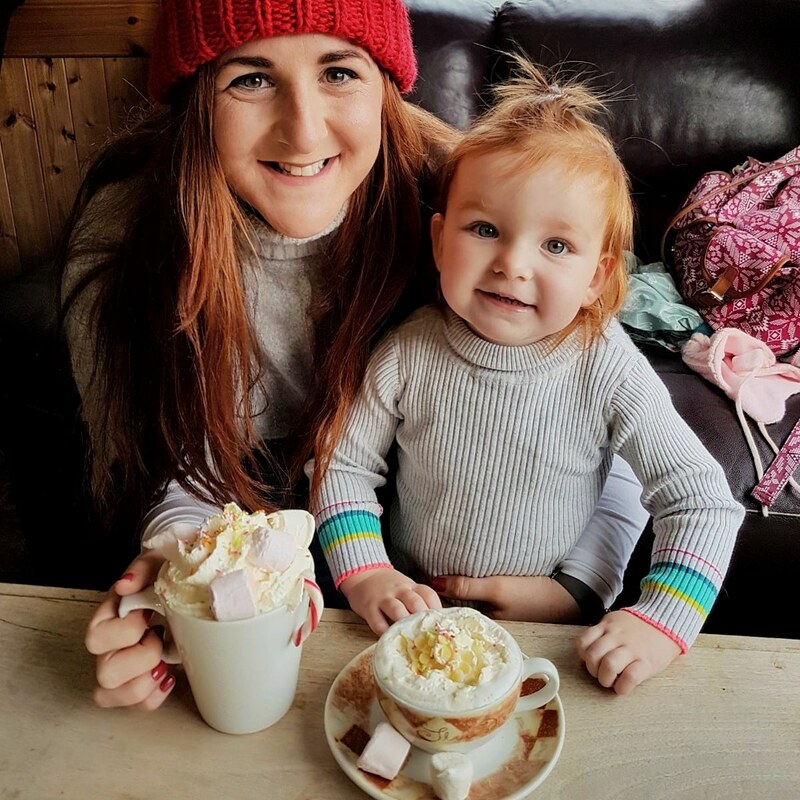 I absolutely love this time of year, it gives us the perfect excuse to light a roaring fire and settle down on the sofa almost as soon as it gets dark. Hillside Nursery; we stumbled upon this place based on a recommendation from my cousin. 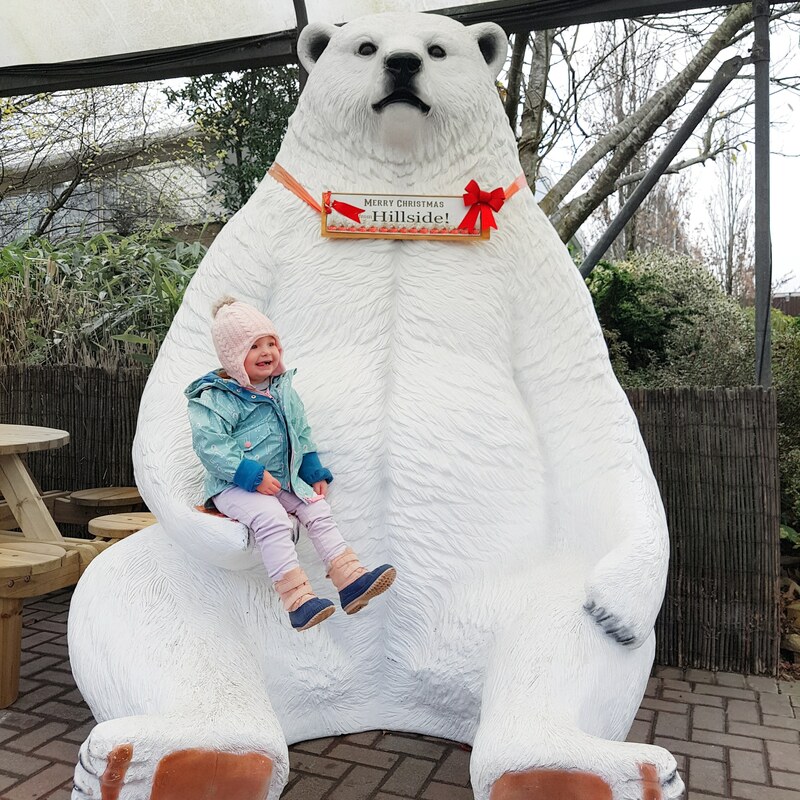 I can’t say I had heard of it before or at least hadn’t paid it much attention but we had an Ikea trip on the horizon and so we decided we would make a day of it and treat Susanna to some festive fun before nap time. This place is magical! 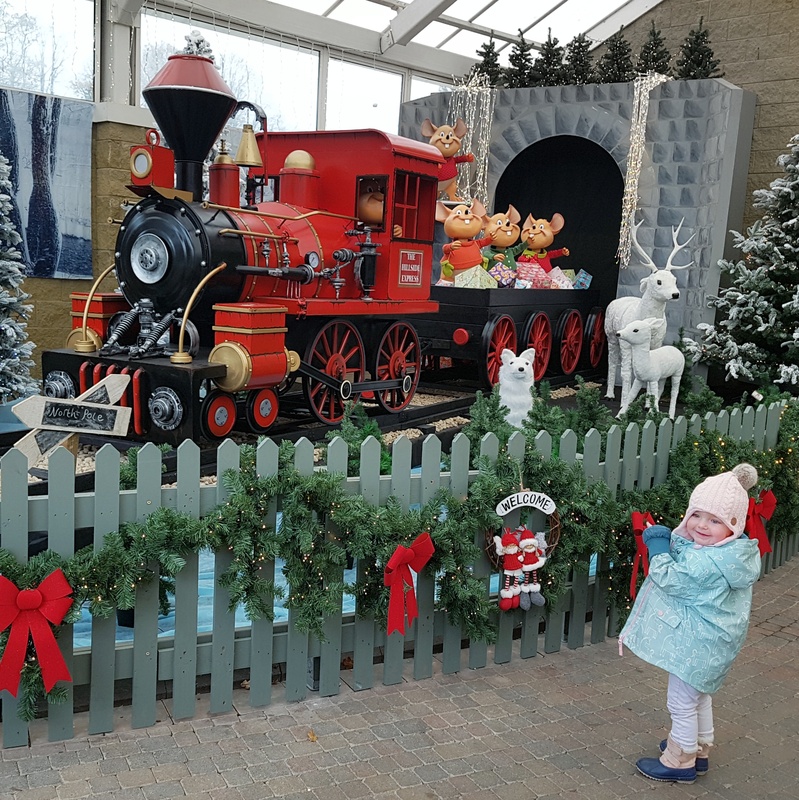 It is, by definition, a garden centre, but they have gone all out on their Christmas décor and have so many interactive little areas for kids to just get swept away in the festive spirit. Susanna could have spent hours watching Santa’s toy train, listening to the singing reindeer and peering at the elves in their workshop. I got my fill of winter décor too as I wandered around the expansive Christmas shop, just try coming away without buying something beautiful. To round off our trip we treated ourselves to hot chocolates beside the roaring fire in the café. Susanna enjoyed ‘The Olaf’; a white chocolate, marshmallow topped hot chocolate while I indulged in the Candy Cane Hot Chocolate, oh my! I would really recommend you jot down a visit to this place in your diary; it will certainly bring on your Christmas cheer. My top tip would be that, if at all possible, you visit on a week day morning. The place was quiet enough for Susanna to enjoy all the exhibits uninterrupted and we had plenty of spots to choose from in the café but as we left around 12pm it was getting very busy! 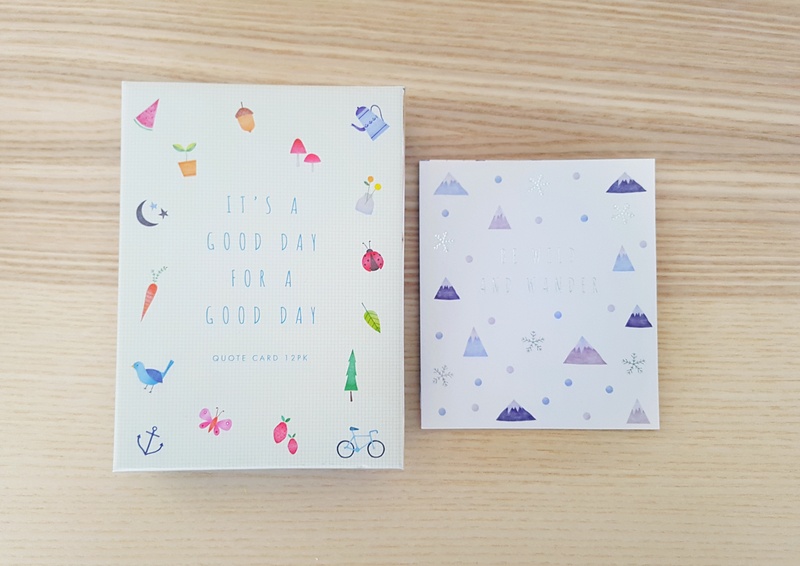 Kikki.K Quote Cards; I received these as a birthday gift and just instantly fell in love. I love an inspirational quote but when you add in some gorgeous artwork and make them small enough to sit nicely on your desk or windowsill I am just completely sold. You get 12 cards per pack and a little wooden block to prop them up. Each card is bright and cheerful and seasonally decorated, I guess that’s why there are 12, one quote per month. 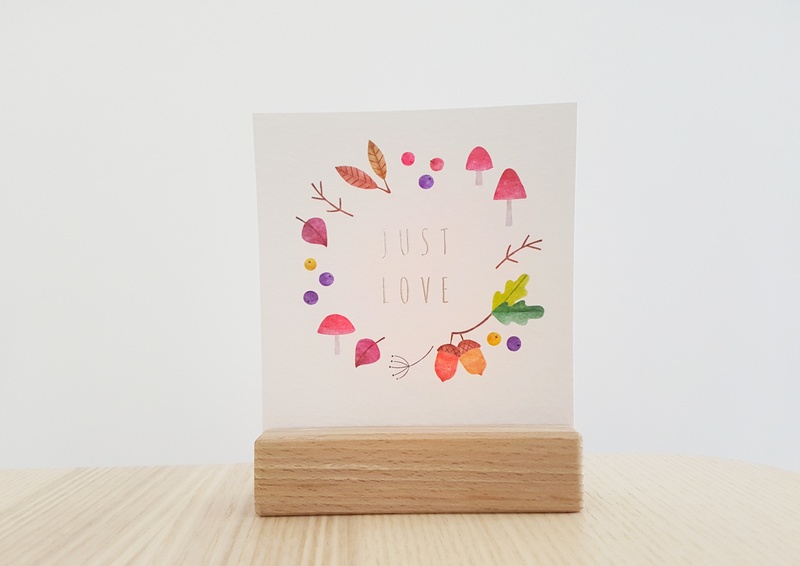 I couldn’t wait to get this set up on my desk, I currently have the cutest little acorn and autumn leaf adorned quote brightening up an otherwise bland corner but as December rolls in I will be switching it for a frosty looking scene. These come in a beautiful box and would make wonderful stocking fillers or as gifts in their own right, the perfect little thoughtful present. Lush Jelly Bombs; I dragged my poor husband into Lush just before my birthday, clearly to drop some hints and was introduced to the new Jelly Bombs. I have three general requirements when it comes to bath products; 1. Does it smell good? 2. Is it made from natural ingredients? (hello sensitive skin) 3. 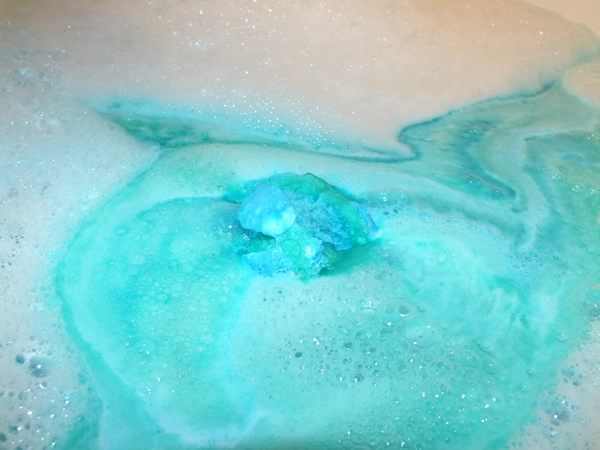 Will it make my bath either bubbly or colourful? The Jelly bombs checked all three boxes and then some, score! 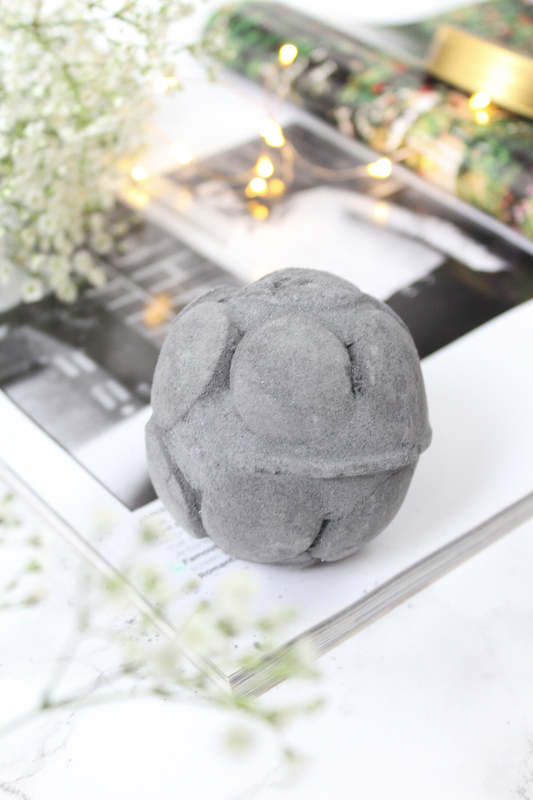 Like all bath bombs, the jelly bomb fizzes in the bath releasing colour, but, this time round the colour is even more intense and it feels almost like a very thin jelly which sounds odd but feels incredibly luxurious and leaves your skin feeling as soft as a baby’s bum. In fact, Lush describe it as a ‘skin softening jelly blanket’ and it was just that! I opted for The Big Sleep which first of all lured me in with its magical teal tones but then completely won me over with the delicious, stress busting, sleep inducing lavender scents. I couldn’t wait to try this one. Described as a ‘snoozy lullabye of lavender and tonka’ it just completely indulged all my senses and sent me into the most wonderful state of relaxation. Chamomile calms the skin and the mood while neroli helps you feel uplifted, just what we all need in the madness of Christmas. Again, I will definitely be adding these to some gifts for Christmas and may even sneak another in for myself. 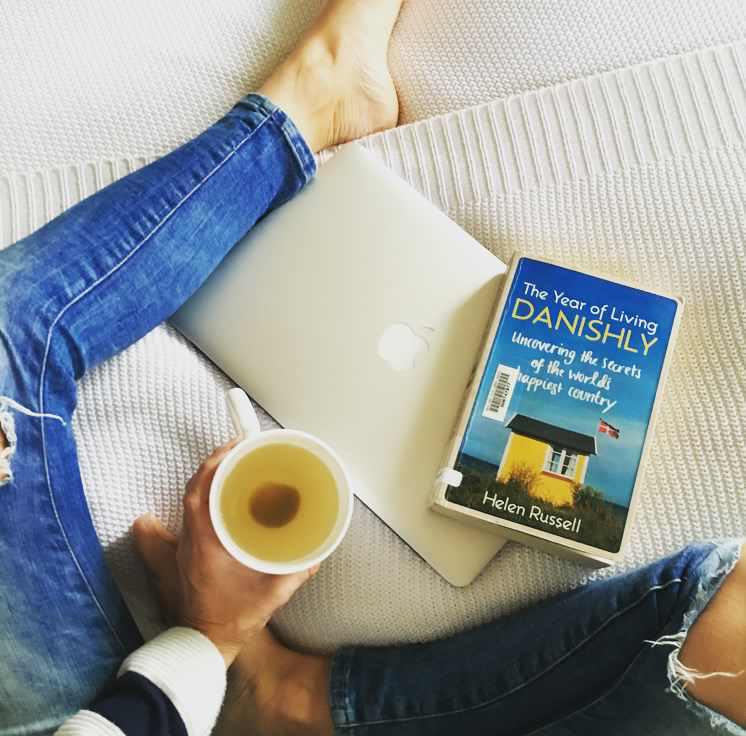 A Year Of Living Danishly; hygge & lykke have become major buzz words over the past year or so, making those of us who had paid little attention to the Danish way of life a little curious to say the least. While it has become a major instagram cliché I am intrigued by those contented Danes and the secrets to becoming the happiest people on earth. I am no expert in hygge; although I do adore a nice flickering candle, cosy blankets and being tucked away indoors, hot chocolate in hand while a storm rages outside, so maybe I am hyggeligt after all. 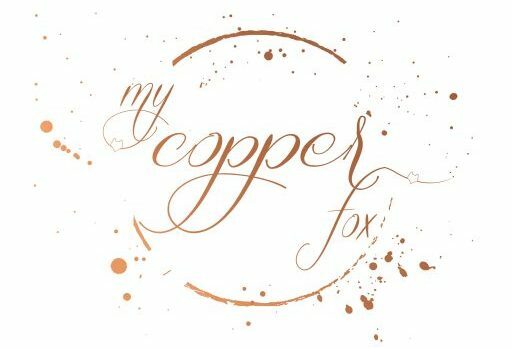 After the twists and turns of last month’s book which you may have read about here I decided I needed something a little more light hearted and less brain intensive! This was actually a kindle store recommendation and so without hesitation I downloaded in and got stuck in. I am not finished reading it yet, I imagine it will take me longer than a ‘page turner’, can’t put it down, mysterious novel but I am thoroughly enjoying it so far. The first thing I will say about this book is that it appeals to my senses; it makes me feel cosy and chilled out just by reading the descriptions of snow covered streets and hot pastries. The sassy commentary has had me laughing out loud at points and I almost feel as if I am on this journey with her. It has certainly flung Denmark into my top ten places to visit! Helen Russell throws in some facts along the way which, for me, help to ground the book a little more and makes it not only fun but interesting too! I studied Sociology at uni, a subject which I unashamedly adored, and so a lot of the observations and concepts discussed play right into my area of interest and reignite that little spark from my days of essay writing and study. If you are looking for a light hearted, winter read then I don’t think you can go far wrong with this one, just be prepared for wanderlust to strike! So that’s it for my November loves, it is a list which could have gone on and on if I’m honest. Here’s to a cosy, jolly December, have a fabulous one friends.